Radiating with a bluesy pop/rock glow, Clay Melton’s “Body Map” captures the euphoric bliss of falling in love. To fall in love is to know what it’s like to live in a dream. There’s a fuzzy haze around every early interaction that gives these memories a supernatural, surreal aura. Love truly is larger than life, and Clay Melton’s brand new song captures that magical reality with knowing warmth and intimate awe. Radiating with a bluesy pop/rock glow, “Body Map” captures the euphoric bliss of falling in love. For those already familiar with Clay Melton’s work, it’s an evolution in sound and stature; for newcomers to the artist, it’s an unforgettable introduction. Atwood Magazine is proud to be premiering “Body Map,” Clay Melton’s first release since September 2017’s debut album Burn the Ships. Melton’s first record established his prowess as a notable rock guitarist, introducing the independent Houston, Texas native through intense, wild riffs and raucous, high-octane energies mainly focused around his axe. Less than a year later, “Body Map” feels like a full transformation for the artist. 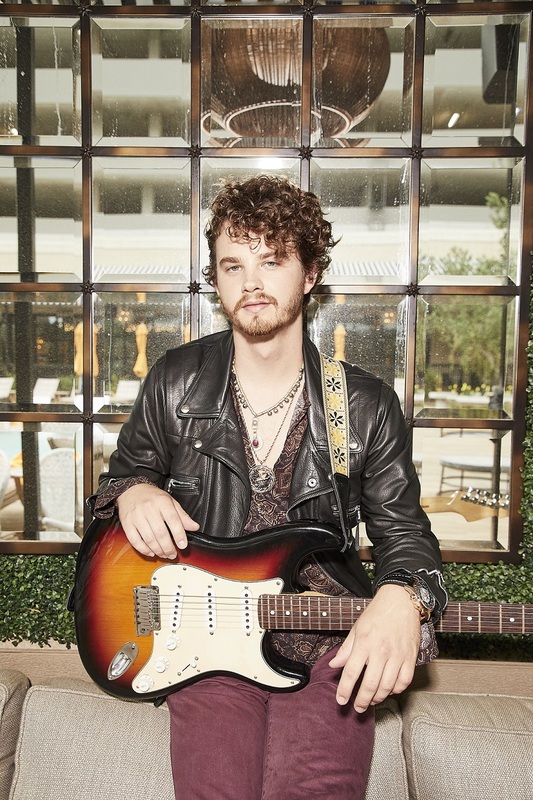 The song presents Clay Melton as a guitar-slinging singer/songwriter à la John Mayer or Jesse Denaro – an artist young and old can rally behind through his powerful depictions of universal shared experiences. If “Body Map” is indeed Melton’s new chosen direction, then this artist will be exploding out of Houston in no time. “Body Map” has the sheen and polish of an alt/adult contemporary hit: Its catchy melodies get easily stuck in your head, while its propulsive, laid-back vibe invites listeners to sink into a pleasant escape. Out everywhere August 17, 2018, “Body Map” puts Clay Melton on the map, setting him up for a very promising end of 2018 and an exciting 2019. Lyrically vulnerable and musically moving, “Body Map” is majestic and raw, sensual yet vague: It’s everyone and anyone’s love song, an ode to late-night dances in the dark. Feel the bliss of falling in love with Clay Melton’s “Body Map,” streaming exclusively on Atwood Magazine!